A great home should not only look good, but be functional and comfortable so you can carry on with your daily chores in a simplistic and seamless manner. 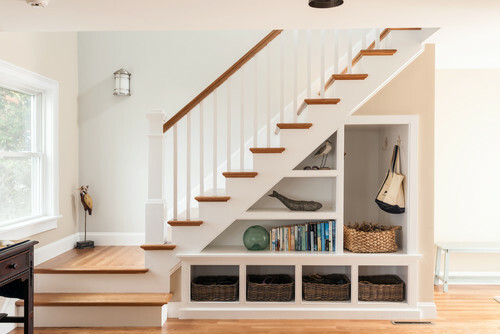 Maximising the space available under the stairs is a feature that makes your home feel special and well thought-out. This area is often neglected, but you can utilise it efficiently, even if the space is minimal. If you don’t want to go overboard with custom woodwork, you can easily create a little hidden closet or use the space as a home office nook. 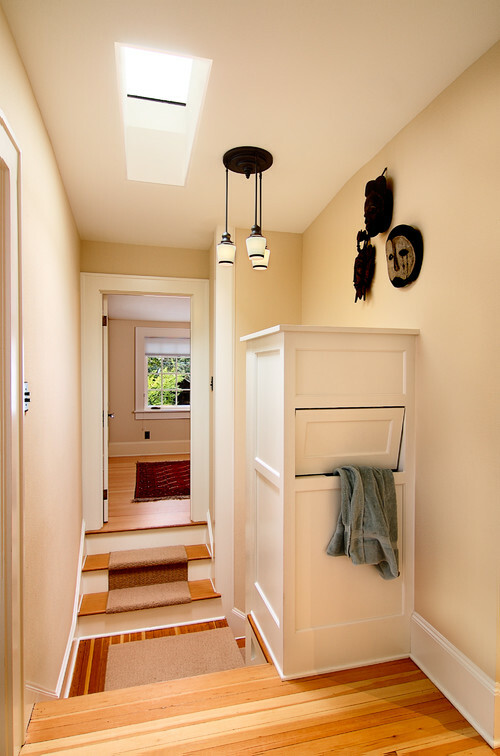 Adding a laundry chute from your second floor to your laundry room is a feature worthy of considering. Laundry chutes are low tech but require careful planning to ensure they are situated correctly. Bathrooms or halls near bedrooms are both great spots, making it easy for everyone in the family to send dirty clothes straight to the laundry room. Installing a built-in central vacuum system means no more heavy unit to pull, push or drag along up and downstairs. When you are building a new house, the last thing that may come to mind is how you will be cleaning your house, yet considering you will have to clean the house – this feature will make your chores much easier and quicker. Express Living Homes Living delivers affordable double storey homes which are faster to complete and save you thousands in wasted rent. For more tips on double storey home designs, see our How to Choose Your Perfect Two Storey Home Design and Which Express Living Homes Design Best Suits You?